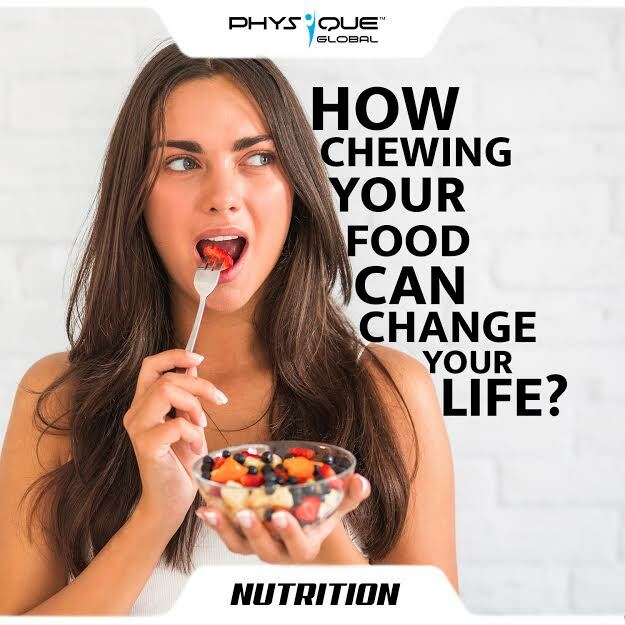 Home · Physique Global Article · How Chewing Your Food Can Change Your Life? Chewing food is something we have all been told right from being a kid. But with time and the amount of haste we have in life, chewing food has become nonexistent. A lot of time we simply gulp in food. Chewing food has a lot of benefits as well. Better chewing breaks down the food into smaller particles. This makes the work of the intestines easier in order to digest food. The latest research conducted in 2013 concluded that the smaller food particles were better absorbed by the body as far as their nutritional value goes. The more time we chew our food; the more time it gets to mix with our saliva. Saliva contains digestive enzymes which again help food to be digested. Saliva also breaks down the food which is easier on the Esophagus. When food particles remain in the stomach undigested, the bacteria in the stomach has to work to break it down and will begin to putrefy which will give rise to bloating, gas, diarrhea, abdominal pain etc. The moment you start chewing your food, you also enjoy your food. Gulping down food does not let you enjoy the food you are eating.